A violent crime can occur anywhere, but 2016 statistics show that some New Jersey locations have a much higher incidence of homicides, rapes, robberies and aggravated assaults than other regions in the state. In each region, there are places where the number of serious offenses per 1,000 residents far exceeds the state average. Radio station New Jersey 101.5 sorted through the FBI data to identify municipalities with populations of at least 1,000 whose crime rates were notably high. North Jersey — The dense population and urban areas of North Jersey create conditions that often trigger criminal behavior. Though Newark has the highest total number of violent crimes in the region, its rate is second to nearby Orange. Two cities that border Newark, Irvington and Elizabeth, rank third and fourth, respectively. Central Jersey and the Shore — People often associate Central Jersey and the Shore region with quiet communities and carefree recreation. However, the activity generated by tourism, government and colleges can lead to antisocial behavior. Cities such as Asbury Park, Trenton and New Brunswick have violent crime rates that rank among the highest in the state. South Jersey — The city with the state’s highest violent crime rate is Camden, and several other South Jersey municipalities, including vacation destinations such as Atlantic City and Wildwood, also present significant danger. Even the small town of Beverly in Burlington County recorded violent crimes at a level that is more than three times the state average. It’s important to remember that these statistics can be a bit skewed, because visitors and students can bring to a city thousands of people who aren’t considered in population figures. Still, if you’re in a location where many violent crimes have been reported, it’s important to be careful so that you can avoid being victimized by a crime or a wrongful accusation. When you are accused of misconduct, immediate support from a qualified criminal defense attorney gives you the best chance at a favorable result. 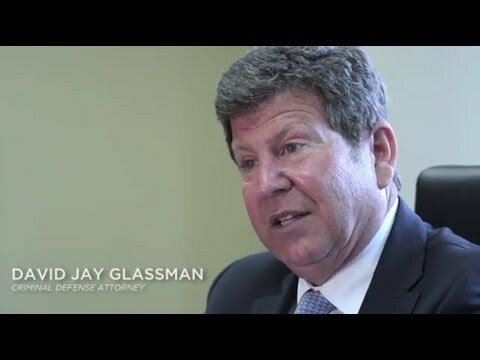 The Law Office of David Jay Glassman represents clients throughout New Jersey in a full range of criminal defense matters. Please call 866-221-1270 or contact us online to schedule a free initial consultation at one of our four locations. We have offices in Marlton, New Brunswick, Newark and Hackensack.